is a great solution for your wheelchair access needs. 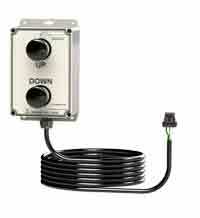 The lift feature a whisper quiet motor, small footprint and runs off of a standard 110v electrical outlet. The Passport Lift is an easy to install, American Made, quality vertical platform lift with battery backup (incase of power failures) that is light enough to be portable, yet durable enough for a permanent lift installation..
30-Day Return Policy & Free Shipping! Portable lift, that is sturdy enough for permanent installations. Low maintenance and high quality. 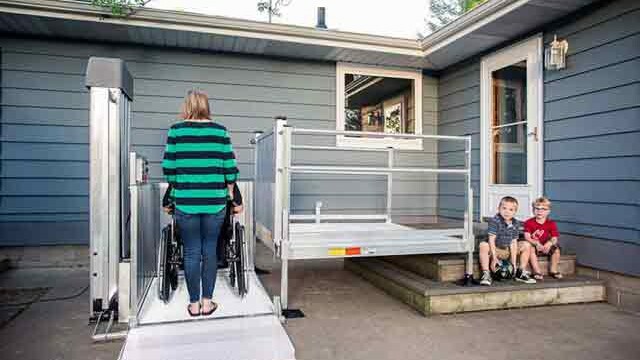 Passport Wheelchair Lift - This wheelchair platform lift will give you the handicapped access you need at an affordable price. This vertical platform lift has attractive styling and a small foot-print making it the perfect option for areas with limited space. 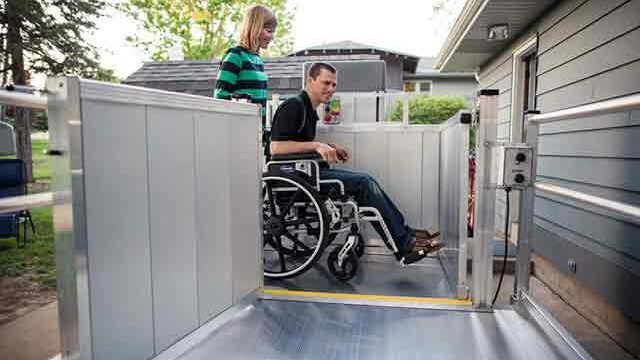 Passport wheelchair platform lifts come with an automatic entry ramp for a smooth entry. Its whisper quiet motor will quickly elevate the portable chair lift platform for EZ Access to a porch, stage, deck or other landing. Easily the Best Wheelchair Lifts on the Market! 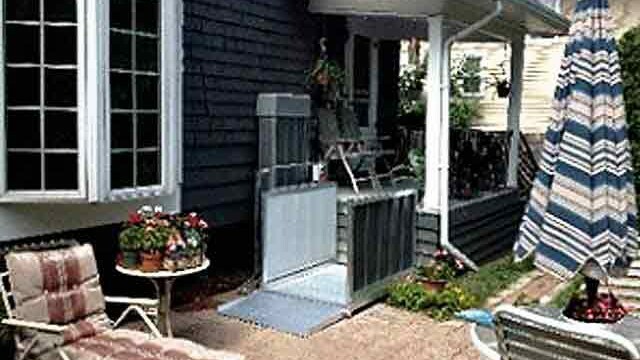 The Passport Vertical Platform Wheelchair Lift is easy to install in as little as 45 minutes. This lift for wheelchairs plugs into a standard outlet, so typically, no electrician and wiring permit required. Its light weight enough to be a portable wheelchair lift from one location to another, making it perfect for temporary handicap access needs, for elevator lift access to porches stages, graduation platforms and other uses. 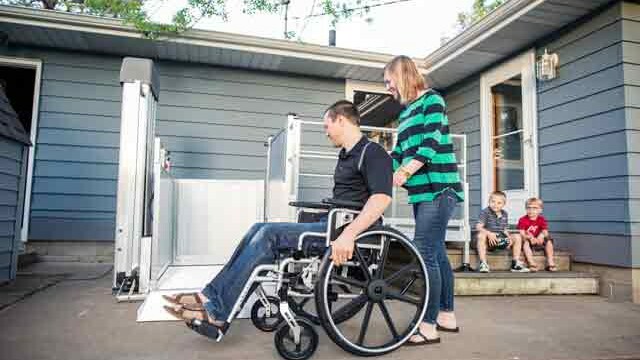 The passport wheelchair platform Lift has a battery back up so it	will work even during a power outage or can be used free standing as a stage lift or porch lift. 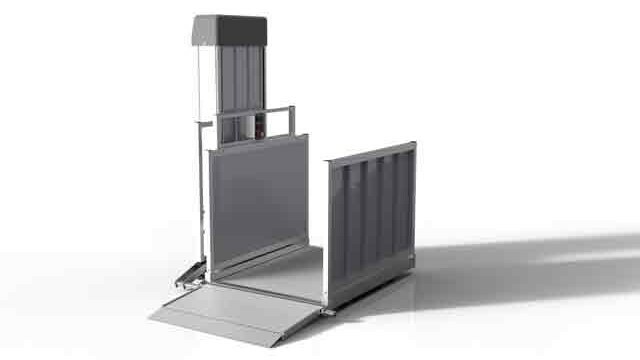 Passport Wheelchair Lift Specifications available for building inspector prior approval1 Priority Shipping Not Available. 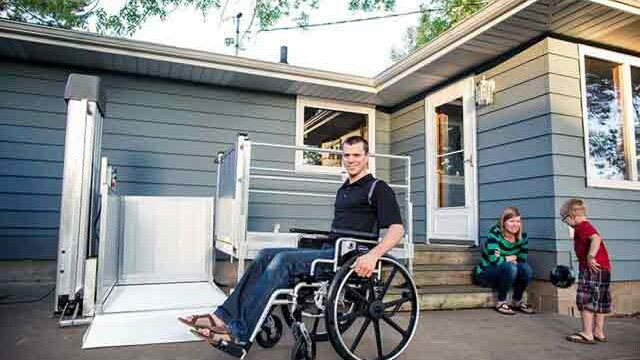 Please check with your local building inspector for portable wheelchair lift code and installation requirements. We recommend using one of our Certified Passport Wheelchair Lifts Installers. Factory Direct Shipping - Most Wheelchair Lifts ship the Next business day after you order! Normal shipping time is 3-5 business days 2. 4052 52" 50.75" x 36" 750 lbs. 361 lbs. 4152 52" 59.75" x 38" 750 lbs. 363 lbs. 4072 72" 50.75" x 36" 750 lbs. 392 lbs. 4172 72" 59.75" x 38" 750 lbs. 384 lbs. Passport Vertical Platform Lifts are easy to install. Weights are approximate. Shipping Options - Free Ground Shipping is included with normal delivery time of 3-5 business days. Priority Shipping is Not Available for Lifts. Additional Shipping Information. Can I put the tower on either side? - Yes, the tower can install on either side for the straight across exit lift. On the side exit lifts, the tower will be on the opposite side of the exit. Can I use this for a business? - These lifts meet or exceed B44.1 / ASME A17.5, ASME 18.1-2008 (Sec 5) wheelchair lift standards. Normally, these standards are used by local building codes as their standards. However, local building codes can vary from city to city, so it is highly recommended to verify compliance with the local building inspector BEFORE you order. Please use our vertical platform lift specifications for verification. 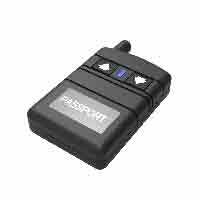 remote from up to 50 feet away. Retractable Casters making it a portable lift. 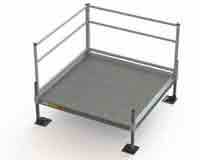 Safety Railing for lift platform. Most Orders Ship the Same Day! We ship from WA and KY for the fastest delivery anywhere in the USA! 1 For any installation that requires inspection, we suggest using the wheelchair lifts specifications sheet to receive prior approval from your local building inspector. This will eliminate any potential issues with local building codes. 2 Normal shipping time is 3-5 business days. The scooter lifts ships by truck, so shipping times may vary. Please allow sufficient time for delivery. *Lift weights are approximate and may vary somewhat.